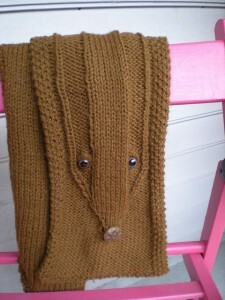 This double-thickness scarf is knit in the round using the Magic Loop method. One surface shows a Hufflepuff team pride pattern, and the other is a blank canvas for letters naming your position, house, or name in duplicate stitch, illusion, embroidery or intarsia as you prefer. Any smooth yarn will do. You might use a pom-pon or a button for his dear little snout – and if you’re making this for a small child, may I suggest a bobble, so it doesn’t come off? 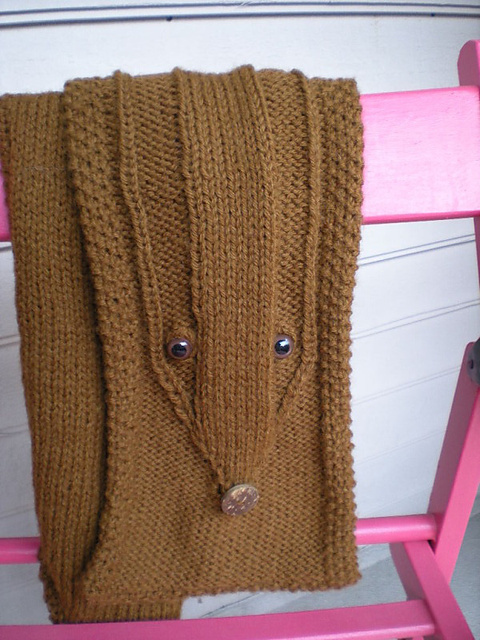 The sample shown here uses safety eyes; you can also just leave the stitch pattern of the eyes showing. Average Rating: 5 out of 5 based on 222 user reviews.